Scottish poet Robert Burns didn’t compare his love to a red, red rose for nothing. Long associated with beauty and perfection, red roses are a time-honored way to say “I love you.” Whether it’s for a birthday, Valentine’s Day or just to express appreciation on any old day, there’s no better way than a bouquet of red roses to express your feelings. 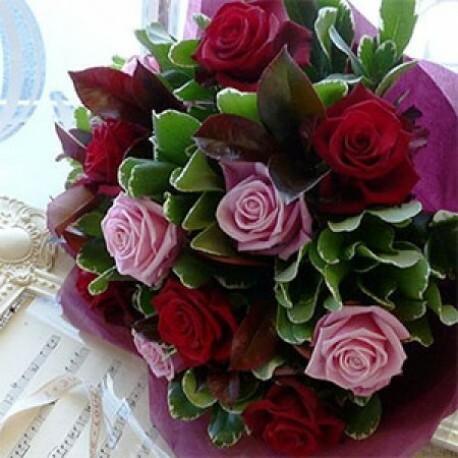 Bright and beautiful to behold, but pink roses are also fabulously versatile when you have something important to say. A classic symbol of grace and elegance, the pink rose is often given as a token of admiration and appreciation. Whether they’re for your best friend, fiancée or ever-dependable cubicle mate, a pink rose bouquet will create a bright spot in a special someone’s day.